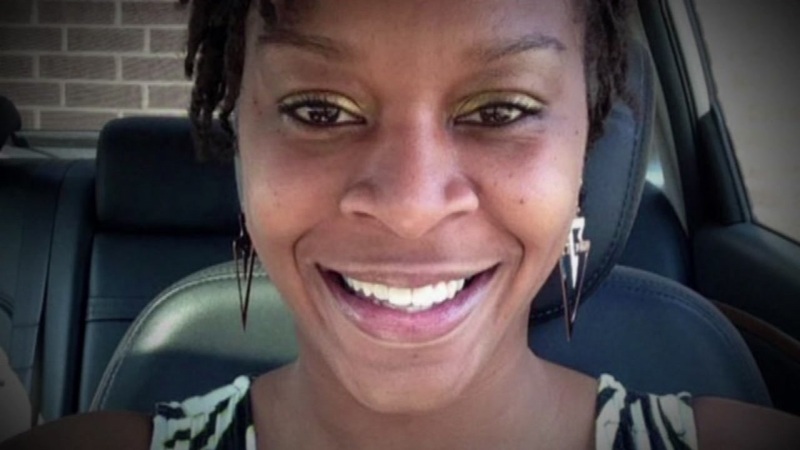 Newly introduced legislation named for Sandra Bland would revamp racial profiling laws and officer training. AUSTIN, TX (KTRK) -- The first sweeping police overhaul proposed in Texas following a black woman's 2015 death in jail after a confrontational traffic stop would revamp racial profiling laws and officer training - measures that one law enforcement group derided Thursday as misguided, and another said was financially problematic. The "Sandra Bland Act" could also face a chilly reception from Republicans in the Texas Legislature. Republican Gov. Greg Abbott has named enhanced police protections - not accountability measures - a priority for lawmakers after a sniper killed five Dallas police officers last summer. The ambush occurred during a downtown march in protest of fatal police shootings of black men across the U.S. One of the organizers of that march came to Austin for the filing of the Bland Act, named in honor of the Chicago-area woman whose death became a flashpoint in the Black Lives Matter movement. "This is not anti-police or anti-government. This is a humanity act," said Next Generation Action Network founder Dominique Alexander, an ordained Baptist preacher and convicted felon whose uncle died in a police-involved shooting. The sniper who fired on Dallas police wasn't connected to Alexander's group. Bland was found dead in a jail outside Houston three days after being pulled over by a white state trooper for not signaling a lane change. Her death was ruled a suicide. Dashcam video recorded her combative traffic stop that quickly escalated and included Trooper Brian Encinia threatening to "light up" Bland with a stun gun. Encinia was fired and the Bland family - which wasn't on hand for the bill unveiling - settled a $1.8 million wrongful death lawsuit last year with Waller County and the state. The bill calls for raising the burden of proof needed to stop and search vehicles, more than doubling the amount of police de-escalation training and requiring police to capture more data. Kevin Lawrence, executive director of the Texas Municipal Police Association, broadly criticized the bill as bad policy and challenged one section that says racial profiling can be identified through "evidence-based data analysis." "All of that is just handcuffing law enforcement. It would just make it impossible for cops to go out there and protect the public," Lawrence said. Eyewitness News has obtained new audio recordings related to the in-custody death of Sandra Bland. The Sheriff's Association of Texas expressed support of the bill. But A.J. Lauderback, legislative director of the group, questioned whether taxpayers will pay for the changes. The bill by Democratic state Rep. Garnet Coleman comes after nearly two years of occasionally combative hearings with Texas Department of Public Safety leaders over traffic stops and accusations of racial profiling. "It says you can't do this, because if you do, it's racial profiling," Coleman said. "So when the DPS says, 'Hey, we don't racially profile,' when all this becomes law, yes you do."